As Jason went to shoot the pigeon it suddenly took a dump on his head. 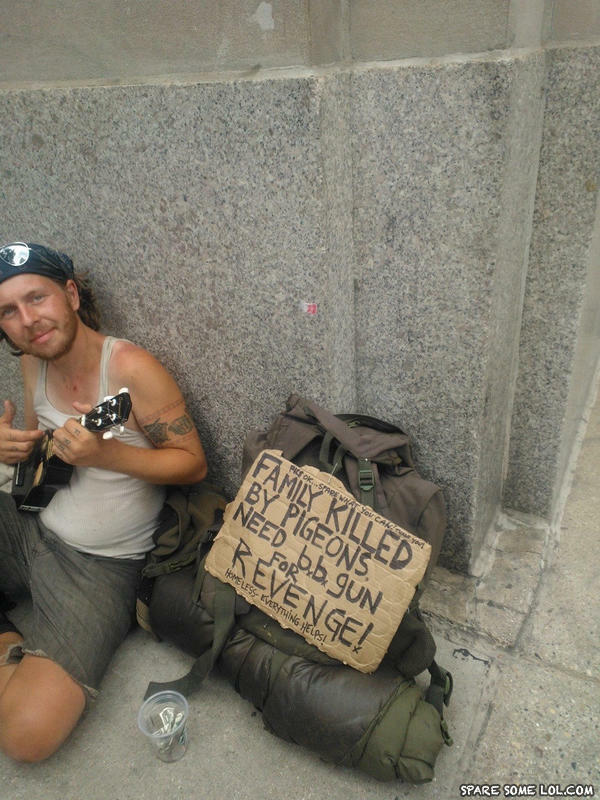 Moral: Give this man a B.B gun and tell him that you got a loaded shotgun waiting just for him if he keeps begging for what he has. Moral Epic Man helping hobos off the streets since 1994!